Great location in popular Harrison Green neighborhood! 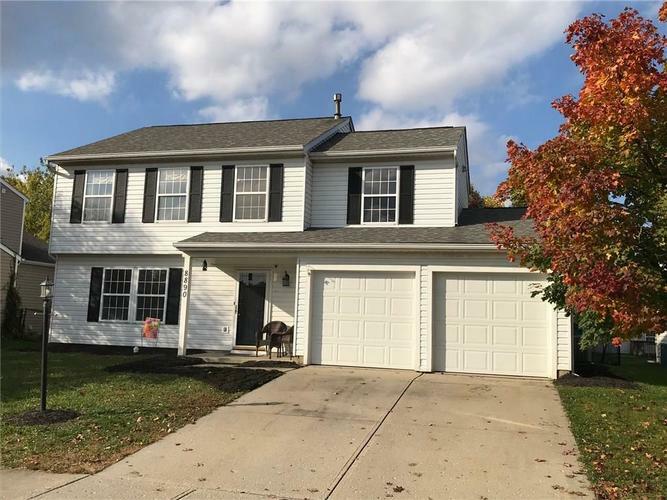 This home has brand new carpet on main and upper level, newly renovated kitchen cabinets, updated stainless steel kitchen appliances, and freshly painted interior. Spacious kitchen opens to family room. Enjoy a 20'x16' brick patio in back with fully fenced in back yard. The neighborhood has two parks within walking distance with playgrounds, a baseball field, and soccer field. Directions:North on Allisonville Rd past 131st St, turn right on Harrison Pkwy. Go past Wyandotte Pl and home is 4th on left.